MAYWEATHER MAIL: YOU GOT QUESTIONS? WE GOT ANSWERS! Last month, FightHype's exclusive Mayweather After Dark series sparked a ton of reaction, both good and bad, from fans and media alike. From diehard fans who were eager to hear more from the undefeated pound-for-pound champion to members of the media who had their own series of questions, the email has not stopped pouring in since the first video went up. Although we don't have all the answers, we do have some and I certainly don't mind sharing my opinion, so check out what I had to say to inquiring minds who want to know about Floyd Mayweather, Manny Pacquiao and much more. Hey Ben, Just wanted to say much respect for the videos you dropped. Ima huge mayweather fan, and its great hearing his side of events since all u hear now a days is just the biased opinion of everyone on manny's jock. If u get the opportunity Id really like u to ask floyd this question. I know for a fact (even before u dropped the first video) that manny was the reason that the first proposed fight didn't materialize. Following that, there was the drama that ensued with Top rank n bob saying that HBO is mediating the deal and mayweather's camp said there were no negotiations. Later on, Ross Greenberg from HBO said there were infact negotiations going on. What was up with that? I think al haymon was the one that said 'arum has lied before and he got a history of doing so.' Why didn't mayweather's camp simply say the original terms of hte contract (7 or 14 day blood test) is no longer effective and from here on out he is only interested in testing all the way up to the day of the fight. Instead of making the statement that there were no negotiations. The only reason I mentioned this, is whenever this debate comes up people always jump to that incident with haymon. I think mayweather is perfectly within his right to say that the second negotiations were not a continuation and they are back to square one. Anyways, mayweather is my favorite boxer, i think he would expose pacquioa in the ring. And i hope he gets into the ring soon and continues to prove his greatness. Much respect for to u for dropping the videos. peace, mohamed s.
BT: Thanks Mohamed. To answer your question, in February of 2010, Floyd Mayweather actually DID make it crystal clear that the offer of a 14-day cutoff was no longer on the table and that, going forward, his terms for any fighter are full random blood and urine testing leading all the way up until the fight. 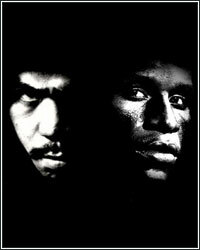 One month prior to Pacquiao's fight with Clottey and three months prior to Floyd's fight with Mosley, he would tell David Mayo of the Grand Rapid's Press, "I gave him a chance, up to 14 days out. But my new terms are all the way up to the fight. They can come get us whenever, all the way up to the fight, random drug test. That's what it is." I don't think he can make it any more clearer than that. Furthermore, I think that's the reason why they don't consider Ross Greenburg passing love notes between Al Haymon and Bob Arum as a form of "negotiations". As far as Floyd is concerned, if Manny isn't willing to take the full random blood and urine testing leading all the way up until the bout - meaning no cut-off dates whatsoever - then there was never anything to negotiate. Ross Greenburg and Bob Arum may call that negotiating, but as far as Floyd is concerned, they were simply conversations. Besides, exactly how much of a "negotiation" could it have been when the two sides aren't even having direct communication with each other? BT: If you don't like it, don't watch it! Simple as that! If you hated him before, I didn't expect you to like him after. LOL. Thanks for the support though. BT: Glad you enjoyed the coverage, Jose. Between me and you, and pretty much everyone other boxing fan now, Floyd never mentioned any specific plans to me, but as far as I could tell, he definitely sounded like he still planned on fighting. Since Bob Arum pretty much let everyone know that Marquez was going to be Pacquiao's next fight in November, Floyd pretty much had his pick of opponents, so it looks like he decided to move forward with a fight against Victor Ortiz. No, it's not the fight that we all want to see, but if fans are willing to watch Pacquiao fight Mayweather's last two opponents, I have no doubt they'll tune in to see someone new get a shot at pulling off an upset. That being said, I HIGHLY doubt you'll see Miguel Cotto or any other Top Rank fighter in the ring with Maywether any time soon. As much as Bob Arum has campaigned against the use of USADA and Olympic-style blood testing, I just don't see him letting any of his fighters agree to something that Pacquiao has yet to commit to in a contract. BT: Thanks. No problem at all. Contrary to popular belief, the purpose was never to try and find out answers to every single question that certain members of the media may have for Floyd. It was simply an opportunity to show fans what it's like in a day in the life of Floyd Mayweather. Thanks again for the kudos. BT: Thanks for the support Kahlil. In today's world of the internet, where just about anyone can throw together some words on a blog or a pay-per-click website, it can be extremely difficult to know who's right and who's wrong. Not to mention, when you have one particular side putting out all of the stories, even if the information is inaccurate and untrue, it basically becomes the truth simply because so many people are repeating it. Personally, I'd much rather go straight to the horse's mouth and let the fighters themselves explain what's going on. From my experience, you get the truth from them a lot more than you get the truth from those who are really looking out for themselves. Regardless of what side it is, we'll always give EACH and EVERY fighter an opportunity to say what they have to say, without twisting their words or putting our own spin on it by injecting our opinion. Some may not like it, but that's just how we roll. Keep an eye out for our complete, in-depth Mayweather-Pacquiao Negotiations timeline that we'll be dropping soon. Hopefully, that will clear up a lot of details that people may still be confused about. BT: Glad you enjoyed the videos, Julio. I have to agree, the atmosphere for Pacquiao-Mosley definitely seemed a little flat for a fight of that magnitude. It makes you wonder how much longer fans are going to tolerate seeing Pacquiao inside the ring against opponents who are coming off less-than-spectacular performances. Obviously Mayweather-Pacquiao would be a "can't miss" event, but if it doesn't happen soon, let's just hope that Bob Arum eventually puts Manny in with someone who's going to be a little more competitive. Juan Manuel Marquez, in my opinion, is not going to be that guy, so expect another "ok" atmosphere come November 12. BT: Hi Richard. I can definitely ask him that, but I don't think he ever said there was any difference between them fighting at those weights when they were young. In my opinion, I think those that try to question the weight gain point to the amount of time it took each one to move from super featherweight (130 pounds) to welterweight (147 pounds). It took Floyd Mayweather roughly 4 years to become a full-fledged welterweight compared to the 2 years it took for Pacquiao. That's a pretty remarkable feat for any fighter to accomplish without losing any of their speed and/or power. Mayweather's last fight at super featherweight was in November of 2001. From 2002-2003, he had 4 fights as a lightweight. From 2004-2005, he had 3 fights at jr. welterweight. It wasn't until November of 2005 when he had his first fight as a welterweight, and even then, people still thought that he might be too small to handle some of the bigger 147-pounders. On the contrary, Pacquiao's last fight at super featherweight was in March of 2008. He had 1 fight at lightweight 3 months later and by the end of the year, he was a jr. welterweight beating up on Oscar De La Hoya. And then, just a year after that, Pacquiao was a full-fledged welterweight that went on a run demolishing the likes of Miguel Cotto, Joshua Clottey, Antonio Margarito and now Shane Mosley. Again, there's no denying, that's an incredible run and a remarkable feat....a feat that, thus far, no one has ever witnessed in the sport. Some people might liken an accomplishment like that to the year that Mark McGwire had in 1999 when he hit 65 home runs and drove in a league-leading 147 runs while only having 145 hits, the highest RBI-per-hit tally for a season in baseball history. Just something to think about. But again, as far as the weight gain is concerned, I don't think anyone is going all the way back to when they were 16. I think those that have questions are more interested in the years from 2008 until now. Pacquiao dont want the fight. He's just fighting names as oppossed to fighting competition. Mayweather my man. I'm team mayweather for life. BT: LOL. I wouldn't say Pacquiao doesn't want the fight. He's a fighter, and I think just about all fighters, particularly those that have been winning with ease, are willing to fight anyone. I just think Pacquiao has options right now, and one of those options is letting his promoter make the best business decisions for him. Now, whether or not his promoter is actually making the best business decisions for Pacquiao or if he's just making the best business decisions for himself is a whole different story, but at the end of the day, I don't think Pacquiao minds making the kind of money he's been making thus far in the type of fights he's been having. Always remember, fighting is a fighter's job, so putting business before the desires of fans is simply...well...it's simply business as usual. The minute that neither side has any other options to make money, that's when you'll probably see this fight become a reality.